Sondo Shabayek is the Director of The BuSSy project (A performing arts project that documents gender based stories and presents them on stage). She is also the Founder & Director of Tahrir Monologues (a performance of true stories from Egypt’s revolution). She wrote and directed award-winning ‘Girl’ a short film about harassment in Cairo. She also wrote and directed ‘I am not my veil’ a short self-portrait video about the conflicting reactions of the Egyptian society towards the veil, and ‘Oh fear’ a short self-portrait video about inner fears. Prior to her work in theater and film, she studied mass communication and broadcasting. And she worked for more than 6 years as journalist and editor. 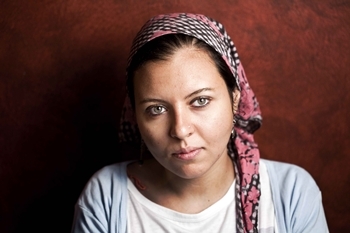 Her journalistic work focused on exploring, exposing & discussing social taboos in Egyptian society.